By the mystery of Providence, in the South black and white, Africa and Europe, are united - to use the language of the Council of Chalcedon (451 A.D.) - ‘indivisibly, inseparably’, even while these two peoples remain for the most part ‘unconfused’ and ‘unchanged’ (Chalcedonian language from Metropolitan Kallistos (Timothy) Ware, The Orthodox Church, New York, Ny. : Penguin, 1997, p. 26). To England in the seventh century there came, as if to foreshadow what would happen among her descendants in the South, two saints, one from Europe (Greece) and one from Northern Africa, to help establish the Anglo-Saxons in the Christian Faith. These two, Sts Theodore and Hadrian, were to have a lasting impact on England, as missionaries and shepherds of the faithful, and as encouragers of learning (Robert Boenig, Introduction to Anglo-Saxon Spirituality: Selected Writings, Ny. : Paulist Press, 2000, pgs. 10-1), and thus on us Southerners as well. St Theodore’s importance in particular was the subject of a collection of essays published recently in honor of the 1,300th anniversary of his repose in 690 A. D., Archbishop Theodore: Commemorative Studies on His Life and Influence, Michael Lapidge, ed., Cambridge: Cambridge UP, 1995 (Anglo-Saxon Spirituality, Notes to the Introduction, Note 21, p. 269). St Bede mentions Sts Hadrian and Theodore often in his Ecclesiastical History, but we will include here only a couple of the more noteworthy sections from his book about them. There was at that time in Rome, a monk, called Theodore, well known to Hadrian, born at Tarsus in Cilicia, a man well instructed in worldly and Divine literature, as also in Greek and Latin; of known probity of life, and venerable for age, being sixty-six years old. Hadrian offered him to the pope to be ordained bishop, and prevailed; but upon these conditions, that he should conduct him into Britain . . . .
THEODORE VISITS ALL PLACES; THE CHURCHES OF THE ENCLISH BEGIN TO BE INSTRUCTED IN HOLY LITERATURE, AND IN THE CATHOLIC TRUTH; PUTTA IS MADE BISHOP OF THE CHURCH OF ROCHESTER IN THE ROOM OF DAMIANUS. Theodore, visiting all parts, ordained bishops in proper places, and with their assistance corrected such things as he found faulty. Among the rest, when he upbraided Bishop Chad that he had not been duly consecrated, he, with great humility, answered, "If you know I have not duly received episcopal ordination, I willingly resign the office, for I never thought myself worthy of it; but, though unworthy, in obedience submitted to undertake it." Theodore, hearing his humble answer, said that he should not resign the bishopric, and he himself completed his ordination after the Catholic manner. But at the time when Deusdedit died, and a bishop for the church of Canterbury was by request ordained and sent, Wilfrid was also sent out of Britain into France to be ordained; and because he returned before Theodore, he ordained priests and deacons in Kent till the archbishop should come to his see. Being arrived in the city of Rochester, where the see had been long vacant by the death of Damianus, he ordained a person better skilled in ecclesiastical discipline, and more addicted to simplicity of life than active in worldly affairs. His name was Putta, and he vas extraordinarily skilful in the Roman style of church music, which he had learned from the disciples of the holy Pope Gregory. And wholesome precepts to his scholars taught. And joined in heaven the chorus of the blest. Sts Theodore and Hadrian, holy examples of peace and cooperation between races, teachers of piety and all manner of learning - pray to the Lord for us unworthy sinners at the South! Father Geoffrey Korz wrote a remarkable essay on Scotland and Canada - remarkable in that, with only a few changes, it could have been written on the South and Scotland. 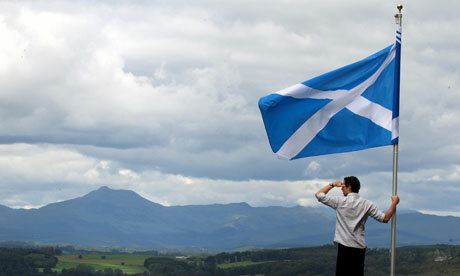 For the South shares with Canada a high number of Scottish settlers. It will be best read in that light, as though it were addressed to us Southerners. The Cross of Saint Andrew can be found on five Canadian provincial flags, either within the Union Jack, or in the mirrored image of the flag of Canada's New Scotland, Nova Scotia. 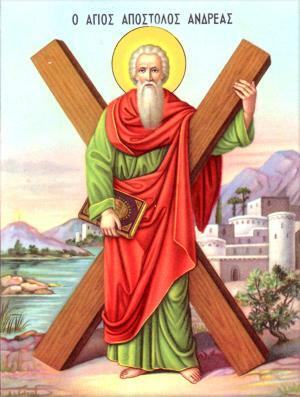 Yet those who trace their roots from that chilly isle to this great land do not often read back far enough to discover the essence of Scotland's Celtic roots, roots that reflected the faith of Saint Andrew for nearly one thousand years in a Celtic Church that was vibrant, independent, and fully Orthodox. ‘A part of the Southern heritage which deserves more attention of the serious kind than it has received is expressed by the term chivalry’ (Richard Weaver, The Southern Culture at Bay, 1st ed., Bradford and Core, eds., Washington, D.C.: Regnery Gateway, 1989, p. 43). Days like Memorial Day have become little more than thin veils to calculatingly drape over speeches promoting militaristic conquest and bloodshed by officials of the national government in Washington City. Since theirs is the abuse of military power, it behooves us to understand what the soldier really ought to be doing. Mark Hackard has translated an essay by Ivan Ilyin that helps us in this task of uncovering the character and duty of the true Christian knight. The Southern conception of chivalry, while admirable in many ways, was also corrupted by non-Christian elements that had seeped into it while forming in Western Europe (striving for personal glory and honor, etc.). Ivan Ilyin (1883-1954), the White emigre philosopher who articulated Russian national renewal, shows an essential requirement for the strength of any culture – a dedicated elite committed to serving God and defending its people. Ilyin knew that only through such leadership could a nation recover and flourish, and his essay written a decade after the Russian Civil War confirms this fact with clarity and force. Translated by Mark Hackard. Through all the great discord of our days, amidst catastrophe, tragedy and loss, in disputes and temptations, we must remember one thing and live by it: the maintenance and propagation of a spirit of knightly service. First and foremost within ourselves, and then within our children, our friends and the like-minded. We should protect this spirit as something sacred; we must strengthen it in those who trust us, those who confide in us, and those who seek our direction. This is what we must advocate to our leaders and pastors, insisting and even demanding it. For this spirit is as the air and oxygen of Russian national salvation, and where it would run out, there would immediately set in an atmosphere of rot and decay, overt or hidden Bolshevism. The decades we have experienced are such that men accustomed to holding indifferent and lukewarm positions, unable or unwilling to fortify themselves and make a decision, have already had their judgment signed in advance. They are condemned humiliation and the mire, and their vital forces will be used by the tempters of this world. Everywhere that there is no will, the will of the sons of perdition shall take the field. Everywhere that the conscience is silent and greed divides the soul in two, Bolshevism already conquers, and everywhere that the crude lust for power of some irritates the insatiable ambition of others, there is prepared seduction, disintegration and the triumph of the enemy. Everywhere that the spirit of chivalry weakens or disappears, disaster awaits us. So it stands now, and so shall it be henceforth. At whatever post a man may stand, this duty (if only the cause is not in itself shameful) has its idea giving meaning to his cause, consecrating it not as an occupation, but as service, service to God’s Unified Cause on earth. In distinction from the subject himself, having his own personal interests, sympathies and desires, God’s cause has its Transcendent paths of necessity and exaction. And so man’s personal interests and the Transcendent interest of his Cause at any moment can part and place him before the temptation of self-interest. At any moment, a man can find himself in the position of a mercenary, not knowing upon what course to decide, or the position of a traitor who prefers his interest to the Transcendent. The spirit of chivalry is comprised of steadfast loyalty to the Transcendent path. St Bede writes also of two other holy women, Sts Etheldrida and Sexburga, in his Ecclesiastical History. He was so inspired by St Etheldrida’s life that he composed a hymn to honor her, which is included below. Southern women have often been noted for their inward strength; these two holy women, St Hilda (mentioned earlier), and others like them help us see what is truly possible for women in the South today, who are their kinswomen, if only they would put away the passing vanities of this dying world. KING EGFRID took to wife, Etheldrida, the daughter of Anna, king of the East Angles, of whom mention has been often made; a man very religious, and in all respects renowned for his inward disposition and actions. She had before been given in marriage to another, viz. to Tonbert, chief of the Southern Girvii; but he died soon after he had received her, and she was given to the aforesaid king. Though she lived with him twelve years, yet she preserved the glory of perfect virginity, as I was informed by Bishop Wilfrid, of blessed memory, of whom I inquired, because some questioned the truth thereof; and he told me that he was an undoubted witness of her virginity, forasmuch as Egfrid promised he would give many lands and much money, if he could persuade the queen to consent to pay the marriage duty, for he knew the queen loved no man so much as himself; and it is not to be doubted that the same might in one instance take place in our age, which true histories tell us happened several times in former ages, through the assistance of the same Lord who has promised to continue with us unto the end of the world; for the miraculous circumstance that her flesh, being buried, could not suffer corruption, is a token that she had not been defiled by familiarity with man. She had. long requested. the king that he would permit her to lay, aside worldly cares, and to serve only the true King, Christ, in a monastery; and having at length with difficulty prevailed, she went as a nun into the monastery of the Abbess Ebba, who was aunt to King Egfrid, at the place called the city Coludi, having taken the veil from the hands of the aforesaid Bishop Wilfrid; but a year after she was herself made abbess in the country called Ely, where, having built a monastery, she began, by works and examples of a heavenly life, to be the virgin mother of very many virgins dedicated to God. It is reported of her, that from the time of her entering into the monastery, she never wore any linen but only woolen garments, and would rarely wash in a hot bath, unless just before any of the great festivals, as Easter , Whitsuntide, and the Epiphany, and then she did it last of all, after having, with the assistance of those about her, first washed the other servants of God there present; besides, she seldom did eat above once a day, excepting on the great solemnities, or some other urgent occasion, unless some considerable distemper obliged her. From the time of matins she continued in the church at prayer till it was day; some also say, that by the spirit of prophecy, she, in the presence of all, not only foretold the pestilence of which she was to die, but also the number of those that should be then snatched away out of her monastery. She was taken to our Lord, in the midst of her flock, seven years after she had been made abbess; and, as she had ordered, was buried among them, in such a manner as she had died, in a wooden coffin. The body of the holy virgin and spouse of Christ, when her grave was opened, being brought into sight, was found as free from corruption as if she had died and been buried on that very day; as the aforesaid Bishop Wilfrid, and many others that know it, can testify. But the physician, Cynefrid, who was present at her death, and when she was taken up out of the grave, was wont of more certain knowledge to relate, that in her sickness she had a very great swelling under her jaw. "And I was ordered," said he, "to lay open that swelling, to let out the noxious matter in it, which I did, and she seemed to be somewhat more easy for two days, so that many thought she might recover from her distemper; but the third day the former pains returning, she was soon snatched out of the world, and exchanged all pain and death for everlasting life and health. And when so many years after her bones were to be taken out of the grave, a pavilion being spread over it, all the congregation of brothers were on the one side, and of sisters on the other, standing about it singing, and the abbess, with a few, being gone to take up and wash the bones, on a sudden we heard the abbess within loudly cry out, ' Glory be to the name of the Lord.' Not long after they called me in, opening the door of the pavilion, where I found the body of the holy virgin taken out of the grave and laid on a bed, as if it had been asleep; then taking off the veil from the face, they also showed the incision which I had made, healed up; so that, to my great astonishment, instead of the open gaping wound with which she had been buried, there then appeared only an extraordinarily slender scar. "Besides, all the linen cloths in which the body had been buried, appeared entire and as fresh as if they had been that very day wrapped about her chaste limbs." It is reported, that when she was much troubled with the aforesaid swelling and pain in her jaw, she was much pleased with that sort of distemper, and wont to say, " I know that I deservedly bear the weight of my sickness on my neck, for I remember, when I was very young, I bore there the needless weight of jewels; and therefore I believe the Divine goodness would have me endure the pain in my neck, that I may be absolved from the guilt of my needless levity, having now, instead of gold and precious stones, a red swelling and burning on my neck." It happened also that by the touch of that linen, devils were expelled from bodies possessed, and other distempers were sometimes cured; and the coffin she was first buried in is reported to have cured some of distempers in the eyes, who, praying with their heads touching that coffin, presently were delivered from the pain or dimness in their eyes. They washed the virgin's body, and having clothed it in new garments, brought it into the church, and laid it in the coffin that had been brought, where it is held in great veneration to this day. The coffin was found in a wonderful manner, as fit for the virgin's body as if it had been made purposely for her, and the place for the head particularly cut, exactly fit for her head, and shaped to a nicety. I THINK it proper to insert in this history a hymn of virginity, which I composed in elegiac verse several years ago, in praise and honour of the same queen and spouse of Christ; and therefore truly a queen, because the spouse Of Christ; and to imitate the method of the Holy Scripture, in whose history many poetical pieces are inserted, which are known to be composed in metre. Thou shalt be mother of a heavenly reign. Our holy mothers Etheldrida and Sexburga, pray to God for us, thy sinful children at the South! America: The Last Best Hope of the World? If one were a servant of Antichrist, perhaps this would be true. For wherever one looks, whether within its borders or outside them, one finds abominations (there are still some exceptions to this among the various States, but they seem to be diminishing) - rising violence and callousness towards others, abnormal sexual practices, drug use, child killing and abuse, greed, and so on. Yet in the midst of all this, the pride of Americans in their own supposed righteousness grows ever greater. Let there be no doubt: The secular Puritan messiah nation of America is carrying out the will not of God but of His enemy the devil in this persecution of Christ’s very own holy, divine-human Body, His Church, (a re-crucifixion of Christ, as Father Andrew Phillips has put it) from Libya to Serbia to Syria to Afghanistan (and one may rightly expect similar things to begin happening in the Ukraine if someone doesn’t restrain the E.U.-u.S. influence there). If anyone in this country desires to do good, let him seek a peaceful way to weaken this power of the American federal government to harm others overseas. Has the time come for the breakup of what has become another brutal, godless (Soviet) Union? Serbia’s situation in the latter half of the 19th century resembles ours today within the American Empire: Two political parties, supposedly different but at their heart tending toward the same centralized, absolute, authoritarian goal; a new third party formed from, and growing because of, the discontent in the hinterland with the two establishment parties; and the attempt by those parties to destroy their new rival. The Tea Party is thus far a weak shadow of Serbia’s manlier Radical Party (and thus perhaps a better comparison would be with the Southern National Congress, Texas Nationalist Movement, Alaska Independence Party, etc.). Howbeit, as the political rebellion against Washington City and the God-hating, corporate, transnational elite who control it grows in the [u]nited States, we would do very well to pay attention to how Serbia’s similar political rebellion, the Timok Rebellion of 1883, unfolded. The background, which the reader is encouraged to seek out at the site below, is covered in the preceding part of this essay by Fr Matthew; as we want to focus here on the Rebellion itself and its aftermath, we quote only from the latter half. As this paper has shown thus far, it was a very complex set of causes, though, in a very general way, can be reduced to the age old fight between a conservative peasant and a government–with its own prestige at heart–willing to force modernization on a peasantry, uniformly called “backward” as a rhetorical device to justify the liquidation of peasant tradition. Peasant political ideology in the Slavic world, prior to their being dragooned into the army or into the industrial economy was pure national anarchism. It was the stress on the religious and ethnic component of identity, with a great deal of hostility to the state which, certainly in the 1880s was anti- national, seeking support from banks in Paris and Vienna rather than from internal sources (in fact, this writer is willing to make the claim that Liberals and Conservatives in Serbian politics in the 1880s were two factions to an extent controlled by French and Austrian finance capital respectively). Orthodoxy and ethnicity (itself heavily religious in tone) was the basic sense of identity of the Serbian peasant. But this included the more amorphous ideas of family liberty through the zadrugy, regional autonomy and the concept of a national militia rather than a professional army. All of this was violated in the process of the rebellion. The efficient cause of the fighting was indeed the attempt to disarm the peasantry. After the army’s battles with the peasants sporadically before, there were many, Milan at the head (after the attempt on his life) who no longer trusted the peasant classes. These were the descendants of the haiduks– decentralized bands of rebels against the Ottoman occupation–decendants of a people who spent the last 300 years living a life below the radar of the arrogant Islamic occupiers. Their entire life was one of resistance and the constant readiness for battle. They, to put it mildly, were an extremely difficult group to control. The Radical idea was very simple: does it make any sense to have fought this long and hard for independence only to hand over Serbia to Parisian or Viennese bankers and their puppets? There was no peasant that did not understand such a simple yet profound question. This writer chafes at Stokes’ condescending “overcompensating” remark, since she skillfully explains precisely why this was not an overcompensation, but an aspect of Serbian life, dictated by the humiliation of Ottoman control, and being called a “raya,” or “cattle” by the Ottoman authorities. As in Montenegro, the rifle was a symbol of independence against imperialism, and more than a symbol, the very reality of the fact that independence only comes with bloodshed, and there is nothing inherently wrong or “evil” about this. It remains, however, a concept foreign to the modern schoolmarm or university hack. · The continued and unabated indebtedness of the agricultural classes, which was particular acute in Serbia. There is an exact correlation between the penetration of the state into the Serbian hinterland (a long and slow process) and peasant indebtedness. Penetration of the state meant penetration of financial capital, and that penetration meant the creation of centralized agricultural units, and that meant the destruction of the stable, self-reliant and liberty-loving zadruga system. The zadruga had few supporters in Belgrade, and none in Vienna. Only in Russia did this system receive at least token support. · The increasing centralization of political power, should be considered a given, since this is one of the major causes of the above rebellions. However one slices it historically or morally, centralization must mean, by its very constitution, the rule of elites, and that those elites will develop interests of themselves and the state, separate from the people they are supposed to rule. Though it is rarely articulated in this way, this concern is one of the central ideas of populist rebellion throughout history. So far, the rebels have never been wrong. · The demoralization of the truly patriotic forces of the nation. This is subtle, but important. In Serbia, the Radicals, widely seen to have “led” the rebellion (and idea highly exaggerated), fell to pieces, and eventually, after the reign of Milan had come to an end, under the charismatic Nikola Pascic, the Radicals were to be reborn, but as a party of the city. Once the rebellion failed, the radicals thought that only through institutional reform (rather than direct peasant agitation) can Serbia be saved. It is the Radical position to this day. · After Timok, Serbia became an increasingly centralized political entity, eventually becoming part of Yugoslavia. Yugoslavia is a result of the failure of the Timok rebellion. Without the defeat of the rebellious peasant zadrugy, the increasing centralization and isolation of the ruling classes would have been impossible. · Lastly, the destruction of the peasant economy and the introduction of centralized agricultural units was a direct result of the Timok rebellion. As all the literature shows, the penetration of capital into the countryside through state power meant the destruction of the zadruga, the Serbian family and the local, self-sufficient local economy. Of course, this in turn leads to the dislocation of peasant populations and the disruption of peasant traditional life and the centrality of Orthodoxy. Without Timok, Tito could never have been successful, and Yugoslavia could never have come into being. It took the destruction of the traditional peasant way of life in order to permit these forces to emerge and to become dominant. By way of conclusion, it might be said, with some trepidation, that world history in the modern era is based upon the battle between peasant tradition, marked by the primacy of religion, family, decentralization, agriculture and self-sufficiency, and that of modernity, marked by centralization, industry, schedules, oligarchy, democracy and ideology. This basic pattern is replicated in the American Civil War, Shay’s rebellion, Pugachev and Razin in Russia, the Pilgrimage of Grace in England, the Gaelic rebellions in Ireland, Cossack resistance in Ukraine, and nearly all peasant religious, ethnic and anarchist rebellions around the world. It is one and the same battle. The victory of the forces of modernization comes about through better weaponry and scientific leadership methods over the primal rage of the exploited peasants. Furthermore, in the 20th century, legitimate peasant movements, such as in Latin America and south Asia, have been hijacked by Marxist revolutionaries in the name of the Enlightenment. It is the unholy alliance of modern science, ideology, economic theory, secularism and modern global capitalism that has destroyed the peasantry, and dragooned what’s left into the factory. Modernity is one large human rights abuse. It is time now to say something of the holy women in St Bede’s Ecclesiastical History. St Hilda shall be first. IN the year of the incarnation of our Lord 680, the most religious servant of Christ, Hilda, abbess of the monastery that is called Streaneshalch, as above­mentioned, after having performed many heavenly works on earth, passed from thence to receive the rewards of the heavenly life, on the 17th of November, at the age of sixty­six years; the first thirty­three of which she spent living most nobly in the secular habit; and more nobly dedicated the remaining half to our Lord in a monastic life. For she was nobly born, being the daughter of Hereric, nephew to King Edwin, with which king she also embraced the faith and mysteries of Christ, at the preaching of Paulinus, the first bishop of the Northumbrians, of blessed memory, and preserved the same undefiled till she attained to the sight of him in heaven. It is also reported, that her death was, in a vision, made known the same night to one of the holy virgins who loved her most passionately, in the same monastery where the said servant of God died. This nun saw her soul ascend to heaven in the company of angels; and this she declared, the very same hour that it happened, to those servants of Christ that were with her; and awakened them to pray for her soul, even before the rest of the congregation had heard of her death. The truth of which was known to the whole monastery in the morning. This same nun was at that time with some other servants of Christ, in the remotest part of the monastery, where the women newly converted were wont to be upon trial, till they were regularly instructed, and taken into the society of the congregation (Ecclesiastical History of the English People, Book IV, Chapter XXIII, http://www.fordham.edu/halsall/basis/bede-book4.asp, posted December 1997 by Paul Halsall, accessed 16 May 2014). 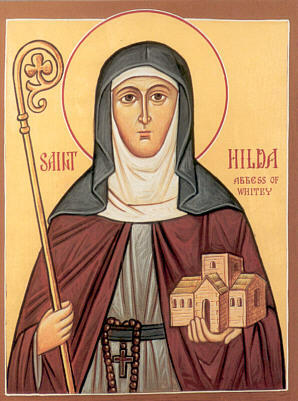 Our holy mother St Hilda, pray to God for us sinful Southrons, thy little wayward children! What Is the Aim of a Christian Society?